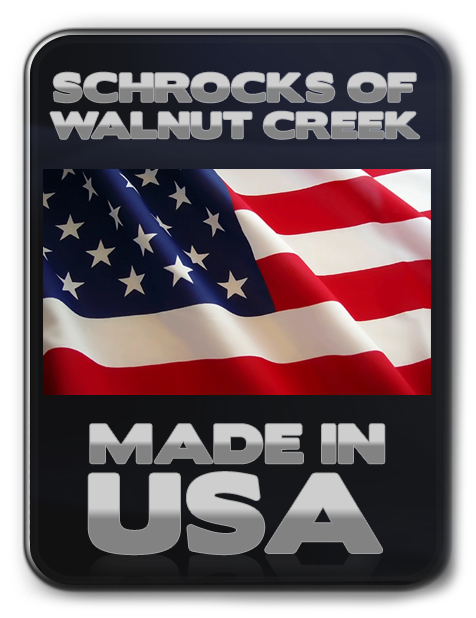 Sewing cabinets by Schrocks of Walnut Creek have been proudly made in America since 1918, in Walnut Creek, Ohio. Schrocks of Walnut Creek cabinets are built by experienced cabinetmakers using good old-fashioned joinery techniques. Their products feature solid, all-wood construction with stained and finished interiors. They professionally craft wood sewing cabinets, wood serger cabinets, wood embroidery cabinets, and wood sewing caddies. Utilizing solid wood cabinet doors and dovetailed drawers, each sewing cabinet is both beautiful and functional. Choose from different styles, wood species, wood stains, and options for the sewing cabinet that fits all your sewing needs. Schrocks' uncompromising quality can be seen in each sewing machine cabinet, which is built to last.